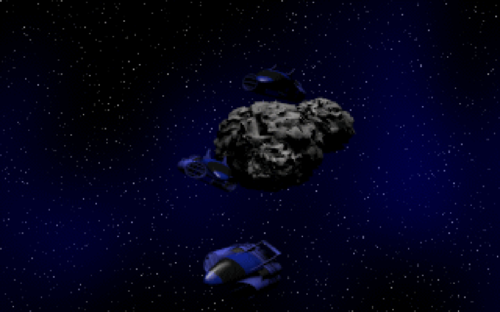 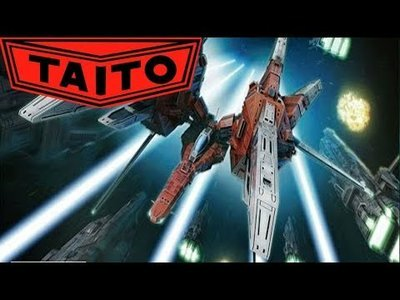 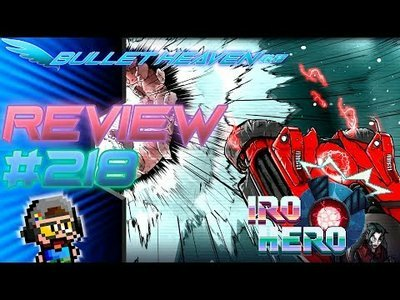 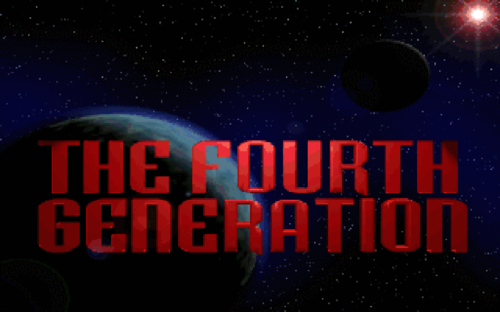 The Fourth Generation is a decent side-scrolling shooter from Webfoot that looks good, plays good, but unfortunately is too repetitive to go up against the likes of Gradius. 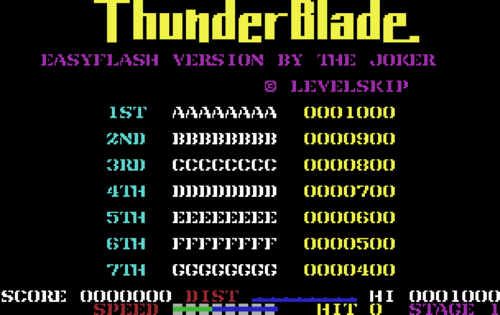 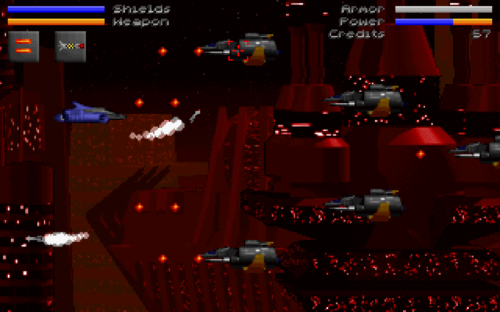 The game can be played in either a single or two-player mode (hotseat), with mouse, keyboard, or joystick. 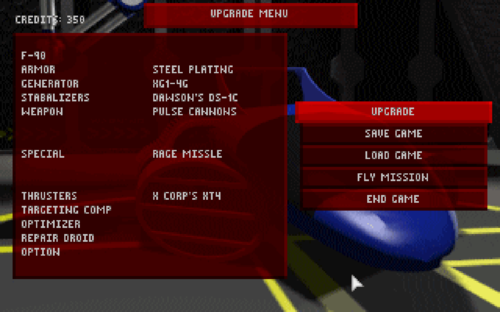 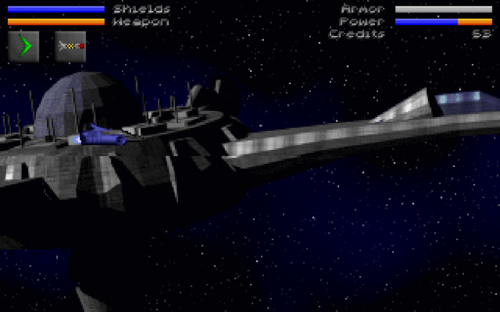 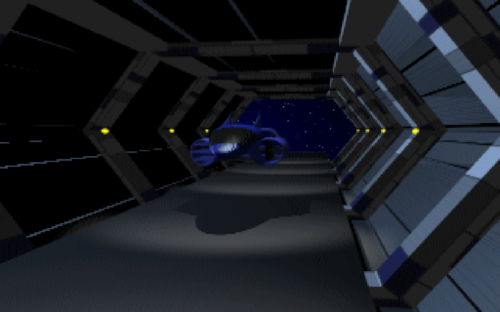 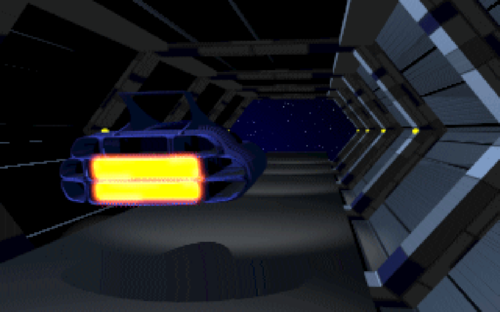 You will be attracted by excellent VGA backgrounds that give good illusions of three-dimensional depth, and the wide variety of weapons and power-ups you can upgrade your ship with. 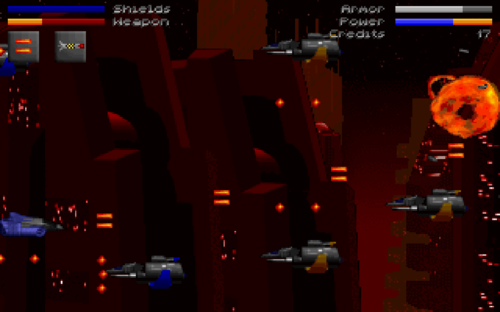 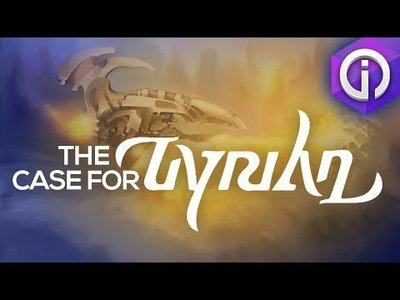 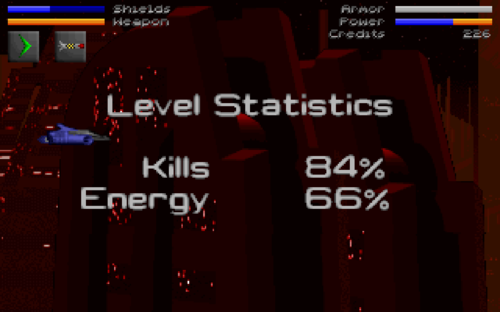 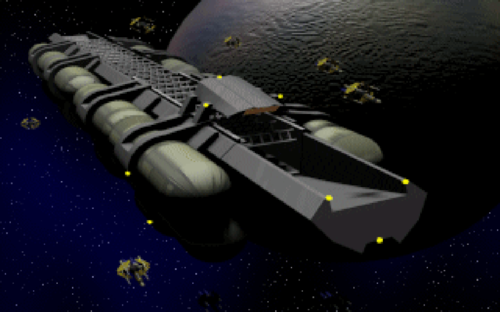 However, enemy ship designs are far too repetitive, the "boss" ships are not much more inspiring, and the computer doesn't put up much of a challenging fight. 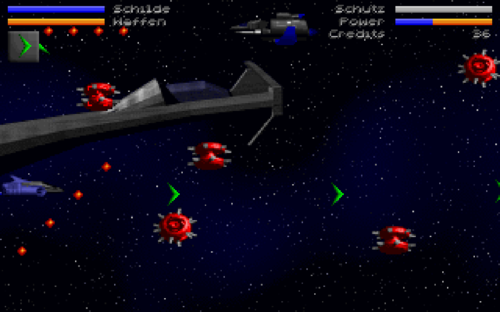 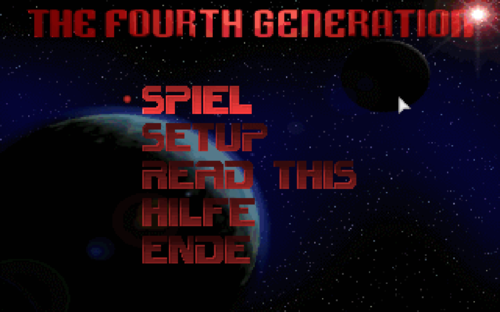 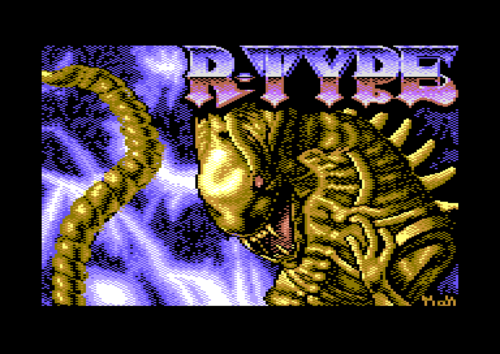 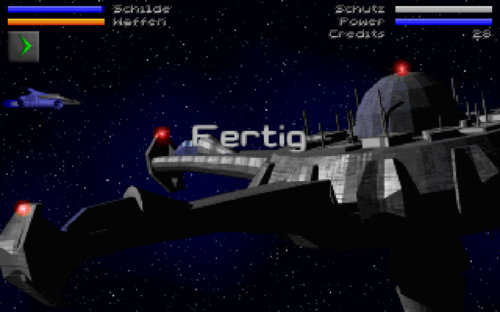 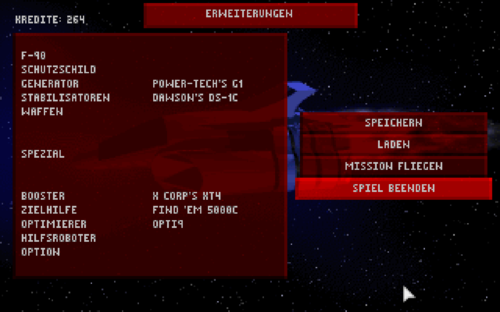 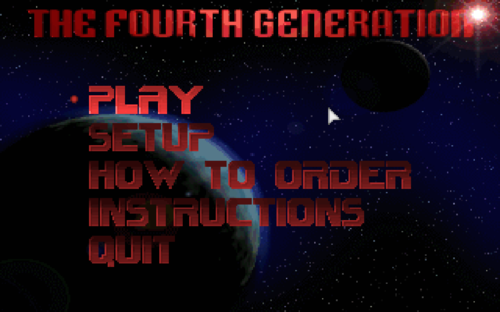 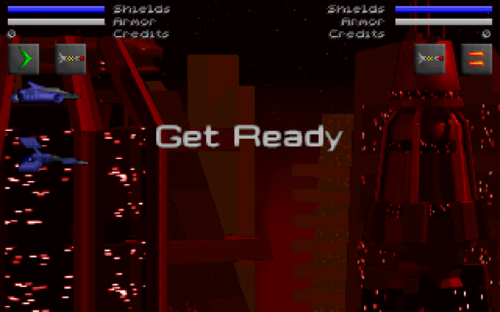 If you are new to the shooter genre and want to try a decent shareware game, The Fourth Generation fits the bill-- for a little while until you find out how repetitive it is. 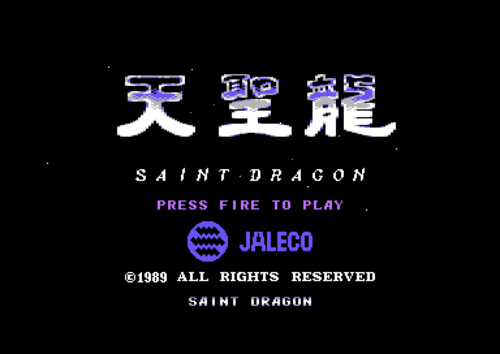 A lackluster underdog, this one.